The Little Fleet in downtown Traverse City will soon be home to an array of bustling food trucks serving up delicious fare inspired by cuisines and street food from around the world and the local region. 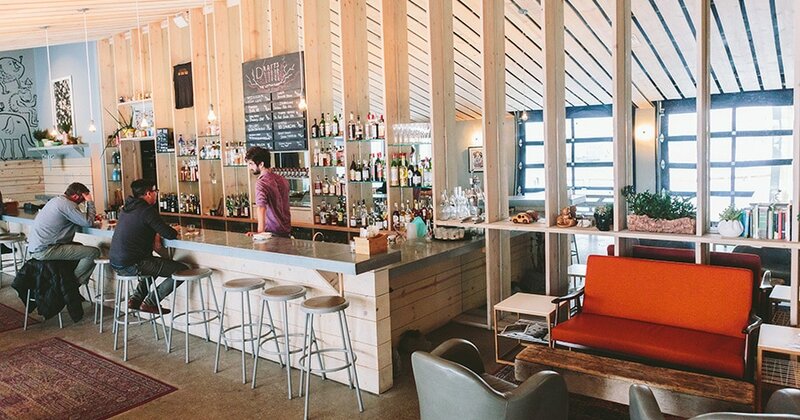 Not only is Little Fleet the hub for Traverse City’s food truck scene, it’s a year-round bar complete with indoor and outdoor seating—a stellar place to meet-up with friends for a cocktail or craft beer. MyNorth’s Eliza Foster caught up with Little Fleet manager Jess, to get the list of upcoming events and the trucks that will be stationed at Little Fleet this season. New on this summer’s agenda, a rotating truck every two weeks to keep things fresh. Pint-sized truck, EZ Cheesy will open April 15 inside The Little Fleet, and then move outside towards the end of the month. The rest of the trucks will roll in starting at the end of April and early May. Live music with no cover. The show begins at 9 pm. May 5: Cinco de Mayo party! Hispanic DJ, piñatas, margaritas, tacos and more! The fun begins at 5pm. The show begins at 4:30 pm. May 31: The Gypsy Market is back every Sunday starting May 31. The market features a rotating group of handmade local artisans. Learn more about The Little Fleet on their website, Facebook page or follow them on Instagram.